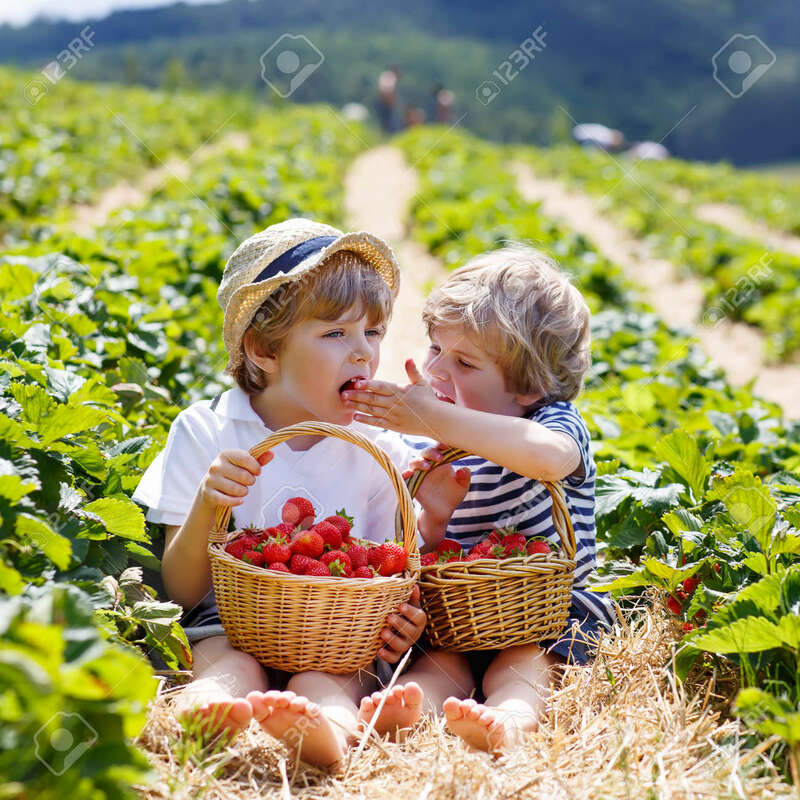 Two Little Sibling Kid Boys Having Fun On Strawberry Farm In Summer. Chidren Eating Healthy Organic Food, Fresh Berries. Royalty Free Fotografie A Reklamní Fotografie. Image 44705052.